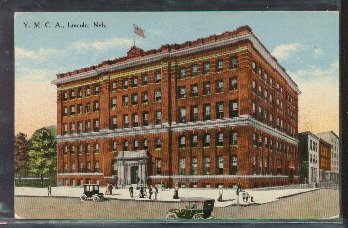 "Postcard - Lincoln, Nebraska - YMCA - Circa 1910. (760) POSTCARD: YMCA - Lincoln, Nebraska-Condition: Very Good.- Tinted Illustration, Circa 1910. Not Posted but has handwritten message on back. Message is about receiving a number of cards. Price: $4.00 + shipping.